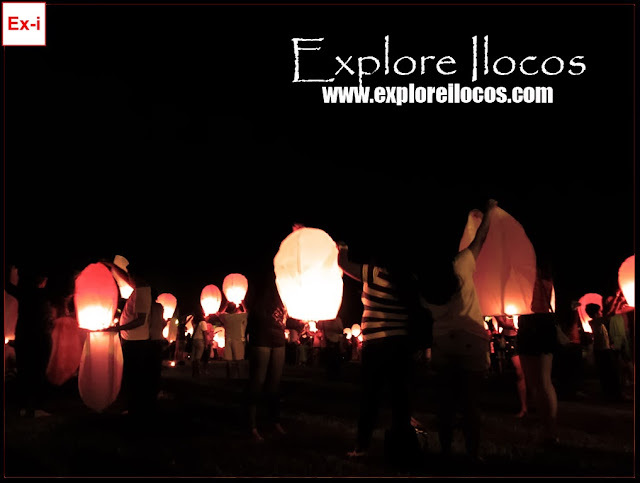 VIGAN CITY ▬ PART OF THE CELEBRATION OF THE RANIAG VIGAN TWILIGHT FESTIVAL IS THE LIGHTING ON OF SKY LANTERNS THAT WERE RELEASED ON AIR. THE EVENT WAS HELD AT THE JARDIN DE CARIDAD IN PAGBURNAYAN, VIGAN CITY. VIGAN CITY OFFICIALS HEADED BY MAYOR EVA MARIE SINGSON MEDINA JOINED. IT STARTED WITH A PRAYER BY A LOCAL PRIEST. ALSO SPOTTED ARE FOREIGN NATIONALS ENJOYING THEIR TIME HERE.